Mushfiqur Rahim became the first wicketkeeper-batsman in history to score two double hundreds in Tests as Bangladesh were in a dominant position in the second Test against Zimbabwe in Mirpur on Monday. Mushfiqur hit an unbeaten 219, the highest score by a Bangladesh batsman in the longest format, to help the hosts declare their first innings at 522/7 an hour into the final session, before reducing Zimbabwe to 25/1 at the close of the second day. The left-arm spinner, Taijul Islam, removed Hamilton Masakadza for 14 after an edge flew to Mehidy Hasan at first slip for Bangladesh’s late in the day. Brian Chari, 10 not out, and night-watchman Donald Tiripano (naught) prevented further damage for the visitors, who are need at least a draw to win their first Test series in seven years. 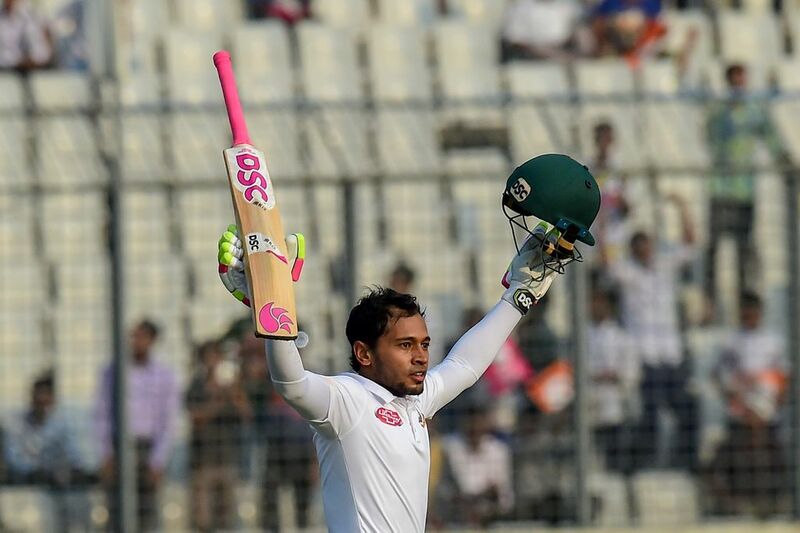 But it was Mushfiqur who shone as he brought up his double-century after the tea interval and not long after he also went past the highest individual score by a Bangladesh batsman in Tests, which was 217 by Shakib Al Hasan. Home skipper Mahmudullah called the batsmen to the dressing room soon after Mushfiqur nudged Sean Williams for a single to pass Shakib’s 217 against New Zealand at Wellington in 2017. Mushfiqur shared a record 144-run unbroken eighth wicket stand with Mehidy Hasan, after Zimbabwe seamer Kyle Jarvis took two wickets in the after lunch to complete his third five-wicket haul in Tests. The tourists said Chatara had suffered a suspected quad muscle strain and has been ruled out of the match.